The present study aimed to verify the efficiency of accounting tools, with emphasis on cash flow, for this, the tool was applied in the management structure of the company Sutcak, which offered a short diagnosis term, enabling and influencing decision-making on regional development, serving as a model for other companies in the same follow-up. This was a descriptive research with quantitative approach, but also used bibliographical research. The strategies used were the case study and documentation where rose documentation for analysis for the months January to June 2017. This strategy made it possible to estimate the Organization Manager activities carried out to facilitate the analysis of what is the best way to invest the financial resources available as well as note any fundraising needs third parties. Key words: tool of control, cash flow, decision making. With the global economic expansion and the need for information that guided the managerial process of organizations, the books became essential, because it offers important tools for decision-making. Along with this expansion process, the accounts began to gain more complex courses, since the search for accurate information and internationalisation of the markets made it a science of great value to the business environment. According to the Federal Accounting Council (2003), the main focus of the books are focused on business management, with the purpose to identify the effects of these management in heritage and, with it, provide information for better decision-taking decision. Because it as an instrument of management and decision analysis, uses their demonstrations to the management and strategic planning of the economic and financial situation of a company. As accounting tool, the cash flow, which unifies most of the information recorded, can be tested to guide the Administration and give the person a real sense of your result, because according to Zdanowicz (1992, p. 21) "the cash flow is the instrument that allows the administrator to: plan, organize, coordinate, direct and control the financial resources of your company for a given period ". Therefore, the cash flow has been presented as one of the most effective instruments in the financial management of enterprises. This accessibility of accounting and its tools, notably has contributed directly and significantly to regional development. The evolution of systems coupled with modern counter profile enables its users anticipate decisions safeguarding risks leading, so your application. From this principle is that we inquired: how cash flow, as accounting tool, can help in the expansion of businesses and consequently in the regional growth by acting on Sutcak Crafts company? Also considering this question, this study was motivated by the need to check the efficiency of accounting tools with emphasis on cash flow, the company's management in structuring Sutcak handicrafts, because your use offers a diagnosis that assists in decision-making and also influences on regional development, to the extent that it increases security in decision making of various companies, generating value to the municipalities and the region as a whole. b) Parse as the accountant can act directly in the business of its customers, particularly with regard to similar businesses to the Sutcak Sights. d) Identify as the accounting and the modernisation of their systems can guide the business management. The study consists of this introduction that composes short presentation of work performed; the theoretical framework that includes the company's history considered matters relating to the relationship between accounting and regional development, the profile of the new counter and cash flow in identifying technical concepts of established authors as development orientation of this work. The methodology comprises the procedures used for your development in analysis and interpretation of data, discusses the company's description and interpretation of the data of the case study. Finally, expose the findings and also the goals, originally proposed, were achieved, as well as limitations of the study and suggestions for further work. The Sutcak Craft was born in May 2004, but only in 2010 had your legal life regulated, when there were significant changes in your portfolio of products and services. In 2004 the company's owners were unemployed and began to make handmade soaps, directing the sales of these to school events for holidays, for example, the "mother's day", then realized that there was a market niche explore. In 2010 the opportunity arose to buy the Sutcak Handicrafts store, which has operated in the market with the same product tracking, whose location is the same to this day. During this period, customers began to charge for other products, and innovated stock your owners and began working with items for gifts, decoration, souvenirs of the city, adding also the baskets for gifts, biscuit and kits customized, in addition to providing courses and feedstock for other craftsmen. Currently the company has over 2000 types of products and has 2 stores to serve its customers. Its mission is to satisfy the customers ' needs efficiently, giving them a variety of products and your vision is to conquer the markets of crafts and customized products in the Western region and also expand your brand until 2025. Today has a staff with two shops in co-workers 08. Its main direct competitors are the Poliart, dome set, Importlar, MDF and arts Uatt Touch, all of these companies operate in customizations of items, gift items and handicrafts in MDF, however there are also indirect competitors as clothing stores, footwear, utilities, among others. Its target audience are teenagers, students, housewives and LGBTs, but manages a loyalty to the demands of holidays in schools and churches. The busiest dates for this trade are Easter, mother's day, Valentine's day and Christmas, IE, there is a period of at least 8 months with little movement. In the period of poor sales, the factors that, for the owners, the Sutcak of the other companies are the variety of items geared toward the same follow-up and individual customization accessories, because this service is fast and done individualized, being that the client leaves with this ready and with creation only. This helps to keep the differential financial flow in the company, because they meet the customization of products to events also. Its owners acting directly in the business, is in the creation, production, organization, customer service and suppliers and in the search for new products. However, there is a well-defined organizational chart by function, not to the shareholders and not to the developers at some point let evil activities carried out or delayed or undone. The company contributes directly to regional development, because she rescues the regional handicraft culture through the commercialization of products; takes its name from the city to other places, because it sells memory of Barriers-BA; promotes courses, forming future artisans and craftsmen; and contributes to the generation of employment and income. The Sutcak has an expansion project which aims to set up a workshop for customizations and also set up a team of external sales which aims to meet the neighbouring cities with sales through catalogs, but for this to be necessary, will need to organize the part Administration and Finance of the company. Today the company seeks the managerial process structuring and a clearer vision than just the tools of bookkeeping and managerial accounting control can offer. Nowadays the notoriously accounting has contributed directly and significantly to regional development, the evolution of systems coupled with modern counter profile enables its users anticipate decisions safeguarding of eminent risk, so your application. Regional development has emerged as a strategy to ensure that all people can enjoy the long-sought economic growth by improving the quality of life of the population. Speaking of development, noted the constant social and economic changes taking place worldwide and influence people's behaviour patterns, which are beginning to ponder the alternatives of this, based on new paradigms. The development that was planned based on statistical data, physical maps and survey or field research this outdated, this occurred because the traditional planning mode does not take into account what people, as human beings and components of a community expect or desire from the future, thus key stakeholders or beneficiaries with this planning undertaken for the promotion of development almost always were not consulted just considered as mere viewers of the actions taken. With the emergence of new concepts of development and participatory strategic planning people have become a key component, making it rather than spectators, the main protagonists of the actions set out in the development. The development of the region with the integration of public authorities, local social capital that unite a great pact for development. So the books as a Social Science cannot abstain in view of the evolution of human relationships, having to adapt to the new realities of development necessary to mitigate the differences between the regions of our country. Based on work by Cosenza (2001), when describing the prospects of Accounting Professional has the following history of the various stages of the accounting, noting that it also has evolved over the years: In 30,000 BC to a.d. 1202, We had the books for Empiricism, in which the intellectual and the individual involving creativity and common sense, if you were to respond to the concept of property. From 1202-1950 through accounting processes and focused on finding rampant in improvement of methods and techniques of processes, responding to business needs. In 1951-1970 in order to improve the way of highlighting the facts sheet had the accounts through the result and the search for useful information. 1971 the pursuit of improvement to leverage the development and strategic needs, answer Accounting for Contingency arose; And already in the 90 accounting and Social responsibility that seeks sustainability for a better quality of life, responding to the concerns of local development. Accounting as a tool of analysis, management and decision-making, use of their demonstrations for, management and strategic planning, inform administrators with the economic and financial situation of the company, in order to assist in making decisions. These subsidies are essential for the entrepreneur to act competently in execution of operational activity. For Iudícibus and Marion (2002, p. 53) accounting aims "(…) to provide economic, financial information and secondarily, physics, social and productivity to users internal and external to the entity accounting object ". All mankind this aware of the demand of human resources, financial, and is far superior to their offerings, the social awakening to the need to ensure these resources for future generations combined with the awareness of many entrepreneurs in order to relate business competitiveness and cooperation as a way to provide local development and minimize the differences Inter territorial, reaffirm the need of social responsibility of professional accounting and your as an instrument of information that supports decision-making processes in organizations directly or indirectly influence the social context in which this uploaded. See this perspective is necessary for accounting within the new paradigms of sustainable development and be worked towards developing statements that seek to highlight the participatory management methods among entrepreneurs , community, Government, University and others. Accounting as a Social Science cannot abstain in view of the evolution of human relationships, having to adapt to the new realities of development necessary to mitigate the differences between the regions of our country. The relationship between accounting and local development will allow an increase in accounting practice with regard to this article, which until then was restricted to the organizational environment of companies and will now act in the context of regional development to assist local development actions. The need for accurate and reliable information to the organizational management of the indispensable instrument of Accounting control and aid to decision-making. For both, the quality of this information depends on the continuous preparation of accountant as to the rules and procedures governing the accounting science, of acting in the field of your profession, as well as your effective participation in the processes of your Management Board clients. Considered as a simple clerk and books, the current counter evolves into the professional appointed to take control of organizations, a command post in charge of developing and managing a financial, economic information system, sheet and productivity that assists in decision-making of entrepreneurs. As well put Carvalho (1991, p. 23): "I have away from archaic vision of" escrituradores ", rebelling against the encilhamento fiscalista" vision ", the modern spaces counters are of communicators". Even being seen as an instrument of control that influence the decision-making process, the accounts can only be constructive for the management of the companies, if there is the effective participation of your protagonist, namely, the accountant. He has to be a Pro to monitor economic and financial developments constantly of the companies, because your participation in the processes of business management tends to reflect directly on your results. So, we can say that the growth of businesses, your recognition in the market and the good results do not depend only on their managers, but also the Accounting Professional, you're ready to exercise your profession with dignity and transparency, which seeks to keep up to date with regard to changes in legislation and accounting procedures, as well as have the business knowledge and strategic vision of your client company. With the changes that have occurred in the world economy, as a result of the processes of globalization, the profession of the accountant began to gain your space and have a far more significant contribution to the management of the companies. 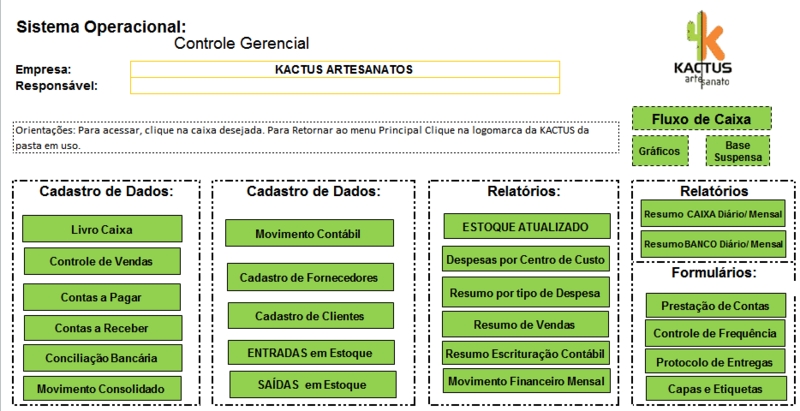 According to Iudícibus and Marion (2002), the role of the counter is returned to the production and management of information that are useful for decision-making. The need for information that guided the development of the business makes use of accounting as a tool for your planning. As Silva (2008), the accounting officer must exercise the most noble of your profession: accountant to consultant, i.e. use of accounting information to provide benefits to managers that help in managing their companies. The role of the counter turns to meet the management needs, and these needs are linked to financial procedures, cost management, strategic planning and future projections, fruits of integration between the Financial accounting and Managerial Accounting, says the author. According to Ribeiro (2007), within this new world economic scenario, the counter functions are not restricted to bookkeeping and tax more. It tends to accumulate a number of social and technical knowledge in relation to the market that is available, your use of science accounting as a management tool. The counters must be aware how much management needs of small and medium-sized enterprises, in order to provide to its leaders the information that are useful to the effective administration of the business, because knowing the particularities of companies that segment and the attitude of their leaders is fundamental for the Accounting Professional can identify the shortcomings and contribute better to your decision-making process. This is the role of the new counter, that to achieve success at work, will have to develop the leadership skills, communication, flexibility and versatility to act together with the community and administrators in the development and thus achieve and generate information that assist in the actions, in addition to maintaining a strong bond with the site prone to be monitored and drill down on the issue at hand, always attempting to relate it with accounting rules and principles that direct the activities carried for accounting. As the Comitê de Pronunciamentos Contábeis (CPC-03) the information contained in the cash flow, when used in conjunction with the information contained in the other financial statements, will be able to assist users in assessing the capacity of the company to generate positive net cash flows arising from its activities, in order to meet your obligations as well as pay dividends. d) evaluate the present and future situations of the cashier in the company, positioning it so that it doesn't come to situations of illiquidity. g) box information may be available on a daily basis. To use those benefits the Organization should have in hands, broken down in their amounts, the accounts of receipts and payments from operating activities, investing and financing, with the main benefit to allow the generation of information based on technical criteria free from any interference of the tax legislation. "The cash flow of a company's set of tickets and cash disbursements over a given period" (ZDANOWICZ, 2004, p. 23), he is the primary tool of financial management that plans, tracks and analyzes revenue, expenditure and the investments in a graphical and chronological representation of entries (tickets) and outputs (disbursements) of financial resources in the company. From the preparation of the cash flow, it is possible to check and plan any shortage of cash to cover obligations, or excess money stopped, without surrender anything to the organization. Its main purpose is to give an overview of entry and daily output of financial resources, and it is through this that the company can plan funding requirements and check the best sources of credit for not incurring problems of liquidity by paying very high interest rates, pay off the obligations within the maturity, but also apply profitably leftovers. f) ease of manipulation of information: the popularization of computers made possible the development of models of known software and easy handling. According to Marion (2003) transactions that increase the box, are: payment of the capital by the partners or shareholders in cash, bank loans, financing, sale of permanent assets items, other inputs such as interest received, dividends received from other companies, insurance compensation received. All these transactions represent when entry of cash and cash equivalents. According to the author presented the transactions do not affect the box: depreciation, amortization and depletion, provision for doubtful accounts, revaluation, adding (or decreases) of investment items by the equity method. These do not represent cash disbursement transactions, therefore, do not affect the box. In this way the cash flow becomes a fundamental piece, allowing greater control of the cash balance and accounts payable and receivable. Facilitates also the financial management by enabling easy-to-understand scenarios be created to aid in decision-making. For facilitating the early preview of entries and exits, it facilitates the control of short-term resources, ensuring your company's liquidity. Thus, the cash flow statements in conjunction with other tools provide important information to support financial management decisions and allow the company to have your financial health under greater control. The present work was a descriptive research with quantitative approach. According to Gil (1995) is descriptive for describing characteristics of particular population or phenomenon or the establishment of relationships between variables, observing and describing the facts without manipulating them. For Beuren and Raupp (2009, p. 81), "one of the most significant features of the descriptive research is the use of standard techniques for data collection", since the researcher can observe the facts, analyze them, sort them and interpret them without the right to interfere in them. Also used a bibliographical research, aiming at building a theoretical framework, with a focus on cash flow with information generated in the Sutcak handicrafts. As regards procedures, used the case study strategy, which is characterized mainly by the study of a single fact which intends to focus on and prove your questioning, and also, because it was considered all the material the company's accounting, included inventory control, invoice, ledger and DRE. As a starting point, was followed the schedule established in the research project, in which hears the application of initial questionnaire to members, for the vision of them about the project and what they had as expectation for improvements of results with the case study. Spent from April to June 2017 collecting and analyzing the data that were supplied by the owners and also for accounting. In June began the theoretical explanation of the actions taken, the application of cash flow and the monitoring of the implementation and the application of the tools of CUTE or complementing Canvas SWOT business model that the company did not had. Through questionnaire applied to owners, we identified that the company is not using any tool for voice control, sales, inventory or cash flow. The company purchased a software that helps in this control, but does not use for not having qualified personnel, including the owners. Day by day, are made some notations in a notebook drive, which includes accounts payable and the sale price of the day, but it's not often that information is noted. Wasn't aware partners cash flow tool, or any other, including the information requested in accounting do not correspond to the reality of the company, this is a point that the entrepreneurs question: "the accountant could guide me on This, but why not do it? ". They tell that already faced some financial difficulties and that the decisions were taken in desperation and without parameter, the alternative used is always the same, loan or anticipation of the balance to receive credit card, but can't talk about the interest rates applied on these resource abstractions. Being a family business, the partners have you considered hiring a good Admin, as they have an expansion project that will only execute if there is someone guiding the decisions, they do not believe in consulting firms, because this will not be present in the everyday life of the company. Because of financial difficulties, the company has traded 03 (three) times of CORPORATE, with the guidance of the counter, one realizes that the need for management expertise for entrepreneurs is as big as the need of the use of the tools of managerial control. Because of this need, the company was chosen as the model for the realization of this work exposing the key concepts relevant to the preparation of a planning and control box to the company. Weekly visits were carried out to the company, they happen on Mondays and Wednesdays, but insofar as the data and documents research progressed were emerging resistance of entrepreneurs to open numbers such as indebtedness the company's current stock values, withdrawal or control bleeding cash daily. To minimize this fact, have been presented to them the tools: Sales tracking, spreadsheet, inventory control, monitoring the movement of cash and stock, plus the cash flow worksheet that unifies all the other. 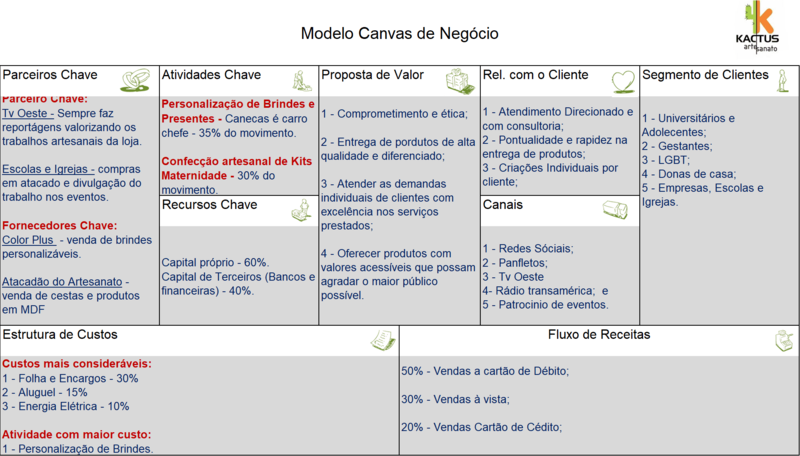 The first tool used was the model business Canvas, so we could have a reference for the operation of the business and if the owners know the strengths, weaknesses, opportunities and threats of your business. An accountant seeking work with the profile of the new counter, that to achieve success at work is along with the community and administrators in developing and generating information that will assist in the actions and always attempting to relate it with the standards and principles accounting direct the activities developed by the accounting. According to Ribeiro (2007), within this new world economic scenario, the counter functions are not restricted to bookkeeping and tax more. It tends to accumulate a number of social and technical knowledge in relation to the market that is available, your use of science accounting as a management tool. Below, in table 1 is the tool applied that served to lighten the business model that the company must follow and focus, minimizing the risk of investment in products that do not have great financial importance in that sense is linked to the development which can be provided with a well structured business and using the right tools, as with the emergence of new concepts of local development is directly linked to the participatory strategic planning. In table 2, tracing the SWOT matrix or SWOT, becomes more evident how the business can be improved and how much managerial control and monitoring and constant goals can boost business. But without a clear vision about the liquidity or soundness of this company, it is virtually impossible to put into practice the strategies outlined in the SWOT matrix. TABLE 1: planning for the Canvas. 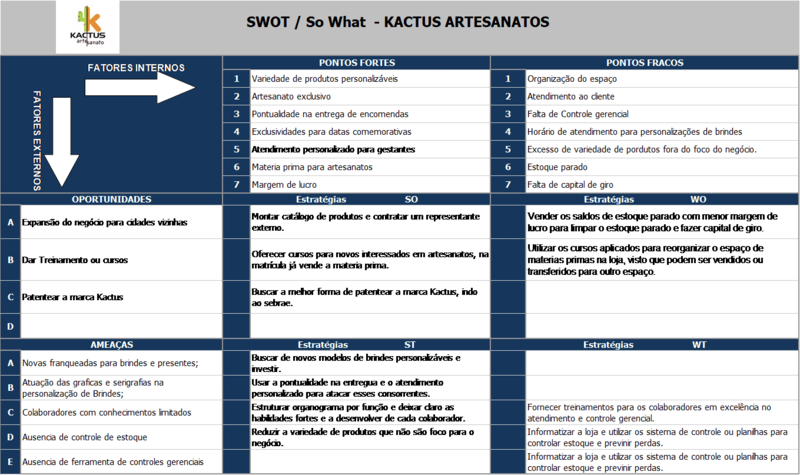 Source: extracted from the Model site from SEBRAE MG.
TABLE 2: analysis of the SWOT matrix planning (SWOT). Source: frame Model is adapted from the model used in company Andros Distributor. After verification of the way that information about daily sales, inventory and financial movement were obtained, it was, in fact, the difficulty to control the financial and stock movement, beyond the limited knowledge of managers on the control basic management of a company. The movement was held in company box a notebook and book box, in both, the annotations were sporadic, which does not mirror the reality of events. 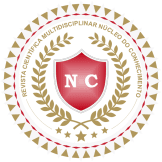 There was no inventory tracking, inventory accounting is only on the basis of invoices that are sent, in the company there are still goods entering without the NF, because some artisans do not sell with this condition. The company was tracking sales only at the end of the day, when he looked at the notes in the notebook and totaled the value of cash in hand and the stubs of credit card, but had no information on what products were sold, if there was a discount granted, if there was withdrawal of money from the box for private expenses or the store. The company is also not done tracking Bank drive and or conciliation, the monitoring is just the balance or when you enter a value of credit related to the amount of the credit cards, which also does not clarify if the value received is what really should receive. The interest deducted in the account are also not accompanied. To achieve the proposed case study, it was necessary to make a complete diagnosis, which necessarily referred to the search for practical tools and at zero cost to allow the verification of the data needed for powering of cash flow, as without the information of revenue, expenses and inventory, there is no complete conditions of use of the tool's focus to this article. "The cash flow of a company's set of tickets and cash disbursements over a given period" (ZDANOWICZ, 2004, p. 23), he is the primary tool of financial management that plans, tracks and analyzes revenue, expenditure and the investments in a graphical and chronological representation of entries (tickets) and outputs (disbursements) of financial resources. From the preparation of the cash flow, it is possible to check and plan any shortage of cash to cover obligations, or excess money stopped, without surrender anything to the organization. Was structured, in Excel, a systematic Panel which gathered several spreadsheets of managerial control, with hiperlinkados icons in a single screen. The user will access the worksheets and click only. This panel presentation facilitates the access of the Manager, as well as filling and binding information. As shown in Figure 1. FIGURE 1: Print the worksheet tab of managerial control schematic. Source: Worksheet created by Flávia Medrado, author of this article. To enter the cash flow tool, explano on filtered data and research: the "Result" of the company in question is calculated at the end of each month, when you sum all sales, the amount sold is regarded as a result, does not observe the withdrawals, expenses and costs. When requesting to DRE, the tool has not been presented, because according to the counter does not mirror reality. Even on cash flow, the intention of the application of the tool is to facilitate the control so the managers, because it unifies all the information for verification of results and still guides the decisions clearly. Whereas they claim that do not have knowledge in management tools, such as an accountant, the guidelines was the use of cash flow tool, based in Iudícibus (2010, p. 565), the "primary purpose of the cash flow statement is to provide relevant information on payments and receipts, money, of a company, occurring during a given period ", thereby helping to identify the conditions and needs of cash generation enabling investigate the transactions that affect the box during a certain period. FIGURE 2: cash flow Worksheet filled from June to August 2017. Source: Worksheet created by Flávia Medrado, author of this article. This cash flow worksheet will be filled as the other worksheets that must be fed. She will show relevant data managers, with which they can make better decisions and based on the company's financial reality. It is believed that regional development is the present phase in the evolution of all territory that reaches a good level of maturity and citizenship, however, due to social and economic deficits present in our country, several areas require actions that stimulate regional development. The applied research aimed to meet the company profile Sutcak handicrafts, identify what were the financial control and management tools used in the company and also check what the partners ' knowledge about accounting tools and If the cash flow would meet the demand of management processes. As were evaluating the data and we got the answers a recognition that there is no us managers any knowledge of management tools, accounting or control, except that the same recorded in some notebooks and papers the amounts received that day, which does not characterized the fact, sale or receipt. The financial outputs are not tracked, except for payments of bills, whose receipts were kept in a folder. It's not done to bank reconciliation, or assessment of fees. Based on these indicators showed that the company had no ability to honor its financial commitments, there is a need to purchase loan of R $6,000.00 (6000) of the stream until August 2017, that loan will guarantee a draw between expenditure and revenue. Cash flow from operating activities of the company is of fundamental importance to analyze the ability of survival on the market, when positive, leads to the conclusion that the company has the potential to pay off debts, pay interest and make loans. 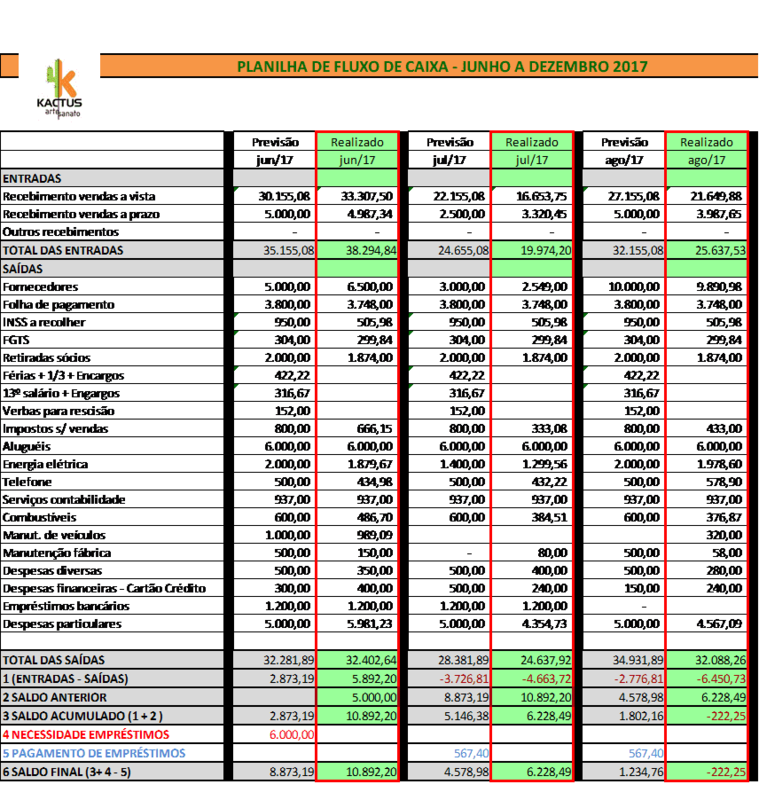 You can see that in this statement are presented the characteristics financial transactions where the starting point is the cash balance, however, is added to the resources from the embolsos and subtracted disbursements, thus resulting in the final balance immediate availability. Therefore, regardless of other economic nature drives that do not alter directly the availabilities of the box. In this sense, some suggestions were offered as daily control in the book box, verification of bank reconciliation reports, bleeds cash and cash flow power. Was created a management control panel, where several control spreadsheets that unifies will facilitate the tracking of movements, but he must be filled at all times. The company does not have clearly defined functions and this hampers the managerial control. It was also suggested that were reactivated the control by banking Manager, that the company has, but does not use, she pays high interest rates in anticipation of claims and this is basically because of the lack of control of movements of cash and Bank. As a contribution, it has been suggested that if patenteasse the company's brand, which also will add financial value; identified and suggested a training for training of managers and employees in managerial, tax administration and financial, that will bring awareness of management directed at all. The facts presented demonstrate the efficiency of the use of cash flow management tool, considering it as a tool for decision support. It allows the Manager to the programming and monitoring of entries (receipts) and exits (payments) of financial resources, so that the company can operate in accordance with the objectives and the goals determined in the short term to manage your capital of fun. Despite the cash flow as a tool for management and control, to the extent that keeps updated, you will be able to assess at any time the volume of inputs and outputs. In roughly proves that the tool has contributed to decision-making on occurrences in the company, and it was realized that the role of the modern accountant and accounting goes beyond bookkeeping assistance and ancillary obligations, not forgetting what highlights the Federal Accounting Council (2006), bookkeeping, in addition to mandatory, is of paramount importance to both organizations as entrepreneurs, being used as the main instrument of Defense, control and preservation of heritage. A company that does not maintain your regular bookkeeping becomes in need of information that could identify the existence of gaps, in order to determine corrective measures, as well as points that have been improved during the management process. The lack of information on business management tends to adversely affect the effective business planning and the optimization of results. So, the counter should look to the reality of each customer, promoting it with new planning tools, especially with the cash flow, which will give clarity to the vision of the entrepreneur and facilitate the understanding of the work of the counter, which is a partner in management of your business. FEDERAL ACCOUNTING COUNCIL-CFC. Message to a future Accountant. 7th Ed, Brasilia, CFC, 2003. Available at: http://portalcfc.org.br/wordpress/wp-content/uploads/2013/01/Msg_futuro_contabilista.pdf Accessed on 21 April 2017. DA SILVA, Edson Cordeiro. How to manage the cash flow of the companies-business survival guide. 3rd ed, São Paulo, Atlas, 2008. DOS REIS, Ricardo Guimarães. Proposal for preparation of a cash flow to a small company. Porto Alegre, 2011, available at: http://www.lume.ufrgs.br/bitstream/handle/10183/36685/000795176.pdf?1. Accessed on: 20 April 2017. DOS SANTOS, Maria Lucia. 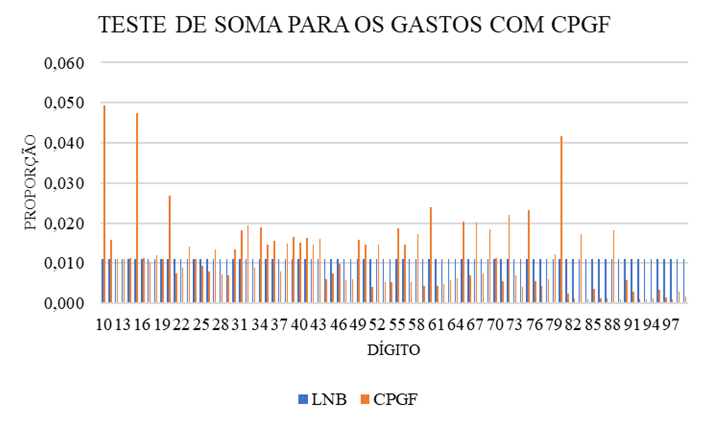 The importance of Professional Accounting in management accounting: a perception of Councillors of the CRC-MG. E-Journal of civitas Department of legal sciences, policy and Management of UNI-BH. Volume 3, Number 1, July 2010. Available at: www.unibh.br/revistas/ecivitas/. Accessed on: 20 April 2017. GIL, Antonio Carlos. Methods and techniques of Social research. São Paulo: Atlas, 1995. RAUPP, F. M.; BEUREN, i. m. research methodology Applicable to the social sciences. How to write papers monographic in accounting: theory and practice. 3. Ed. São Paulo: Atlas, 2009. SANINI, Cristiane; DANIELS, Mihir J.B. case study on cash flow as a control tool for Cosmetic company in Tangará da Serra – MT. UNEMAT Magazine Volume 3, Number 5, January 2014/Jun..
ZDANOWICZ, José Eduardo. Cash flow: a decision of financial planning and control. 5th ed. Porto Alegre, Sagra Luzzatto, 1992. ______. Cash flow: a decision of financial planning and control. 10th ed. Porto Alegre, Sagra Luzzatto, 2004. Graduate student of the course: Specialization in accounting and Regional Development, 9TH at the State University Campus in Bahia, first class graduate, 2017. Bachelor in accounting since 2010. Master in economic management of the environment at the University of Brasilia-UNB (2009), PhD in Urban and Regional Development at the University Salvador-UNIFACS-2015. Coordinator of graduate studies and professor in the Department of Humanities campus IX, barriers, Bahia, Bahia State University. Supervisor of this article.